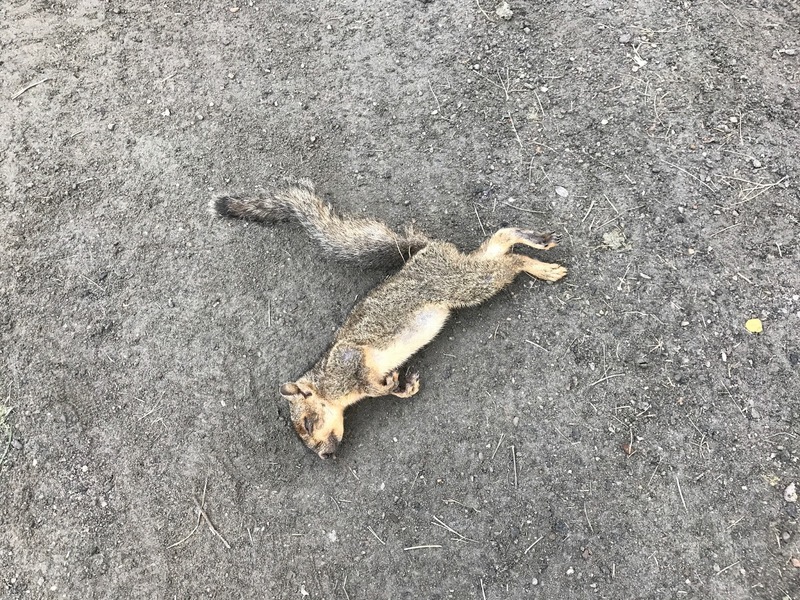 After an amazing weekend trip to the Great Sand Dunes with my son in which I went pretty hard, slept in a tent, and generally didn't have a ton of great sleep, I figured my body would feel much like how this dead squirrel looks. Stiff and unable to move. Somehow, despite only getting six hours of sleep right before I went, I felt great. 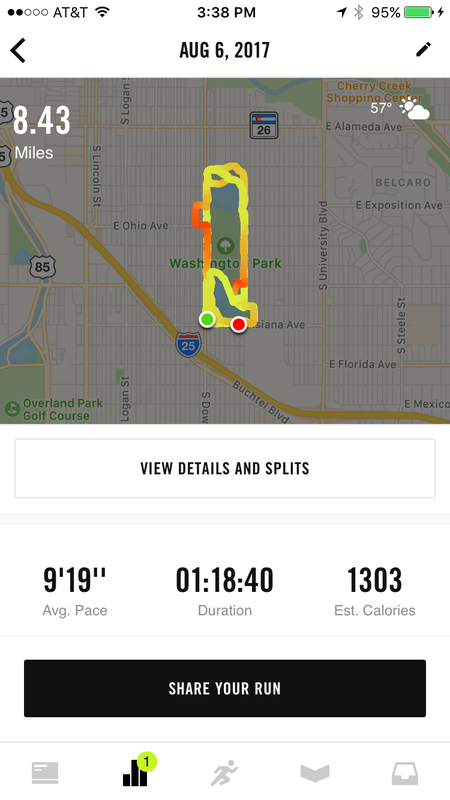 I was able to move much better than a dead squirrel. Speaking of the squirrel...It looked like he just had an accident from a tree and missed a jump and ended up splatted right there on the trail. As an avid squirrel despiser, this did not cause me any angst. I won't go so far as to say I rejoiced that it was dead, but I didn't shed any tears either. Wash Park was gray and cloudy, and I didn't many great pictures, so I decided to go with the dead squirrel because it was the most interesting picture by far, and every now and then, I need to post photos of dead animals. It's in my contract.